Dave fishes from the Port of Mevagissey. 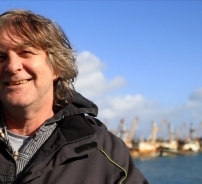 His boat the Valhalla is 12m long, and he fishes for a wide range of species using a demersal trawl with large mesh to reduce bycatch of small fish. 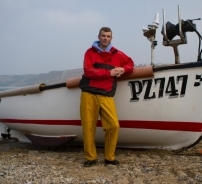 Tim Vinnicombe has been fishing under sail and oar for oysters since he was 16 years old. Its a traditional fishery that has preseved this tough but satisfying way of life, as well as the stocks of oysters in the Fal. 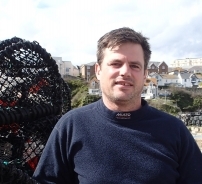 Alan Dwan is skipper of the Newlyn hake netter, the Ajax. They fish offshore and are at sea for trips of up to 5 days at a time. 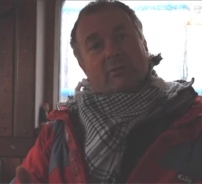 David Stevens is skipper of the modern 20m trawler the Crystal sea. 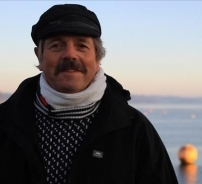 He fishes using a twin rig demersal trawl and has made numerous adaptations to the gear to improve its sustainability by reducing unwanted by catch. Ben George handline fishes from the beautiful Sennen Cove, close to Land's End. 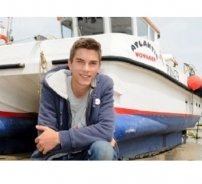 Ben Lowe is a teenage fisherman who goes out to sea onboard his eight-metre catamaran Atlantic Voyager. He supplies line-caught fish and pot-caught crab and lobster. 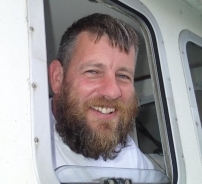 Stefan is a sardine ring netter, working on the fishing vessel White Heather, out of Newlyn. 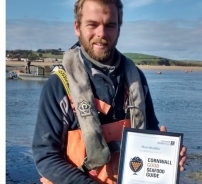 Joe Emmett fishes sustainably using pots to catch brown crab, spider crab and lobster, and handlines for mackerel and pollack from the North Cornish port of Newquay. 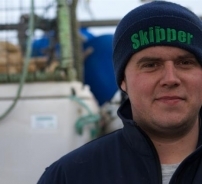 Luke Marshall is a second generation shellfish farmer. From their base at Porthilly farm near Rock the Marshall family have been farming shellfish in the Camel estuary for over twenty years. Porthilly oysters and Rock Mussels are renowned for their quality and sustainablity and feature on menus across the county and further afeild. Chris Blamey fishes from the harbour of Mevagissey aboard the wooden multipurpose fishing vessel Galwad Y Mor. 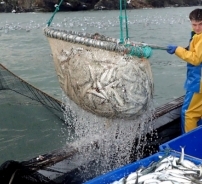 Between July and January he fishes for Cornish Sardines, using a ring net. 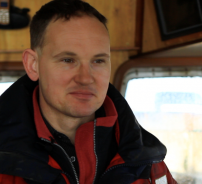 For the rest of the year he targets Pollack using wreck nets and travels much further afield. 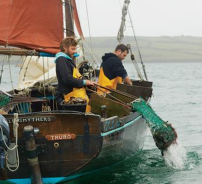 Chris Ranger fishes for native oysters and queen scallops aboard his traditional oyster working boat the Alf Smythers. Fishing using oyster dredges the traditional way under sail and oar. 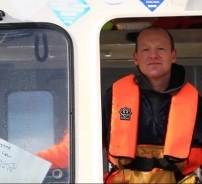 Chis is also a registered fish merchant supplying a wide range of purified local sustainable shellfish.